The Maw Sit Sit gemstone is quite rare on the market today, it can only be found in a small part of Burma. 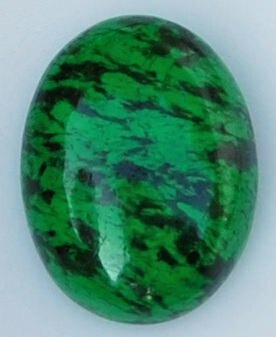 This gemstone has a green color that varies from a dark deep green to almost neon green and is alternated by black spots and veins. It looks like a variety of the better known jadeite or malachite. What is Maw Sit Sit? 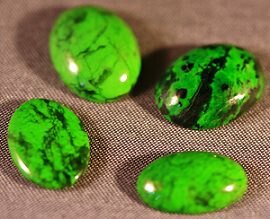 Maw Sit Sit (or mawsitsit according to some sources) was first thought to be a variety of jadeite, however further investigation showed that it was in fact a new mineral. It consists of six different elements as well as a large number of other materials in varying quantity. 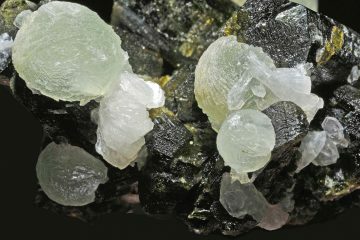 Chromite is the cause of the green color, while ureyite causes the black spots and veins. Rarely if ever do you see a gemstone that has such sharply contrasting colors the like maw sit sit gemstone. This gemstone is always seen in a cabochon cut, because faceting would destroy the veins and spots it is prized for. It can be worn every day, though you should avoid physical labor. 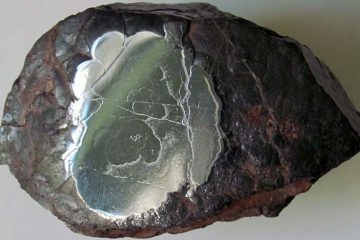 This gemstone can be scratched because of its fairly low hardness. Don’t store it with other gems, especially faceted ones, most other gemstones have a higher hardness and can easily scratch a maw sit sit gemstone. Avoid rapid temperature changes, for example reaching into the fridge and putting it straight into the oven. Cleaning should be done with lukewarm water and a mild soap, be sure to dry it afterwards with a soft towel. Do not use a ultrasonic or steam jewelry cleaner, it might not survive the treatment. The most challenging part in buying this gemstone is actually finding a jewelry or gem shop that actually sells it! 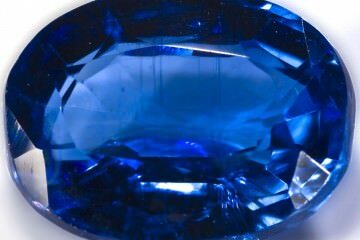 This gemstone is fairly unknown and your best chance of finding it is online or a professional jeweler with an extensive inventory of other colored gemstones. Even large retail sites like Amazon do not sell maw-sit-sit . It’s unlikely that you will find imitations or synthetic maw sit sit. Mostly because it is fairly cheap and you can only find it in specialized shops that have a high reputation. You only have make sure that you are getting the quality you pay for. Though it might be fairly hard to determine that, maw sit sit prices are fairly volatile because of the small size of the market. 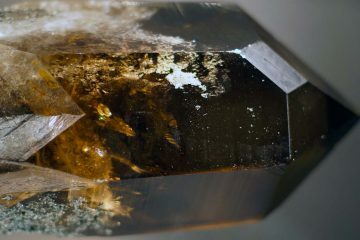 Not only is this gemstone rare and largely unknown, but every single one of these stones has a unique look because of the large number of minerals that make up this green-black gemstone. If you set one of these gemstones in jewelry its practically guaranteed you’ll never run into something quite like it.